The recent statement of Bishop Ruperto Santos of Balanga that Duterte’s “presidency is a disappointment and disgrace to our country” is a signal to the Philippine Church leaders to forge unity to end the tyrant’s administration. Duterte’s order to ‘tambays’ to rob and kill the bishops is no laughing matter. 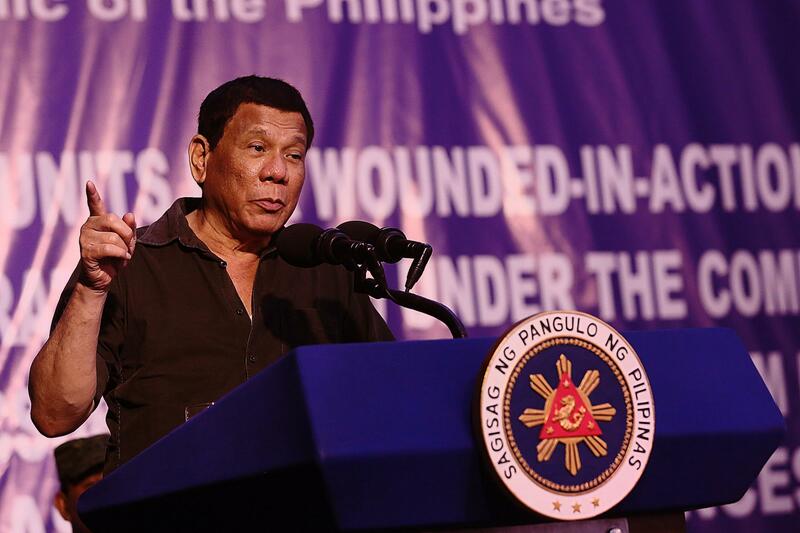 The “statement from the President may promote criminality and lawlessness,” Bishop Santos said. Bishop Bastes calls the people to stop the “evil” ways of Duterte. “There should be a mass movement among decent Filipinos to make him desist from speaking like a devil,” Bishop Bastes added. A “mass movement among decent Filipinos” is indeed needed. In addition to the three Roman Catholic bishops, namely Bishop Broderick Pabillo, Bishop Virgilio David and Archbishop Soc Villegas, Bishops Santos and Bastes can forge unity with Protestant, Evangelical and Aglipayan Bishops and design or plan an action that would end the “devil.” The Philippine churches shall assert their ground and invoke the moral authority to save this country. It is about time to end the Duterte’s systematic and calculated attacks of the Christian faith, the Church and the people. The neoliberal economic policies of the Duterte administration created heavier problems for the people. The increase of the inflation rate, the stagnant gross domestic product, unfavorable foreign currency and interest rate and soaring of prices because of TRAIN Law I and II are manifestations of worsening economic crisis. The flexibility of labor and labor-only contracting policies or contractualization and human export policy are not favorable for the workers and the rest of the Filipino people. The massive corruption cases are still being brought to public’s view—despite this administration’s supposed crusade and campaign promise against corruption. Cases in the government executive departments and agencies have not been squarely addressed. Instead, Duterte threatened the personnel of Commission on Audit to be kidnapped and tortured. The militarist policy of the Duterte government resulted more 27,000 cases of EJKs. There are 12 mayors, 6 vice mayors, 3 priests, 34 lawyers, 12 journalists and more than 230 activists killed. There are 540 political prisoners languishing in different detention cells in the country. These are strong reasons to end tyrannical rule of Duterte. There are more than 56 cops involved in abuses against women. Military and paramilitary are involved in massacres, bombings and dislocations of non-combatants or civilians in implementing the government’s counter-insurgency. The displacement of hundreds of thousands of Moro people as result of anti-terrorist campaign in Marawi City and other parts of Mindanao. Drug smuggling continue, despite the promise to end illegal drug trade, and instead destroys the lives of the poor, as direct victims of extrajudicial killings (EJKs) in the government’s Oplan Tokhang. Surrendering the sovereign rights of the West Philippine Sea to China violates the rights of the Filipino people for independence, mutual respect and non-intervention. These are some of the crimes of the Duterte regime. These are the reasons why Duterte continue to attack the Church. It is about time to stop the “devil” and end his “evil” ways. The Filipino people unite and forge the broadest alliance to end the pervading tyrannical regime. It is our duty to correct the wrong doings that we see, especially those in the President.